The Bryce Jordan Center echoed with deep, repeating chants of “Good job, Pat” on a Thursday afternoon in the midst of a men’s basketball practice. Pat is not the latest addition to the Nittany Lion family. 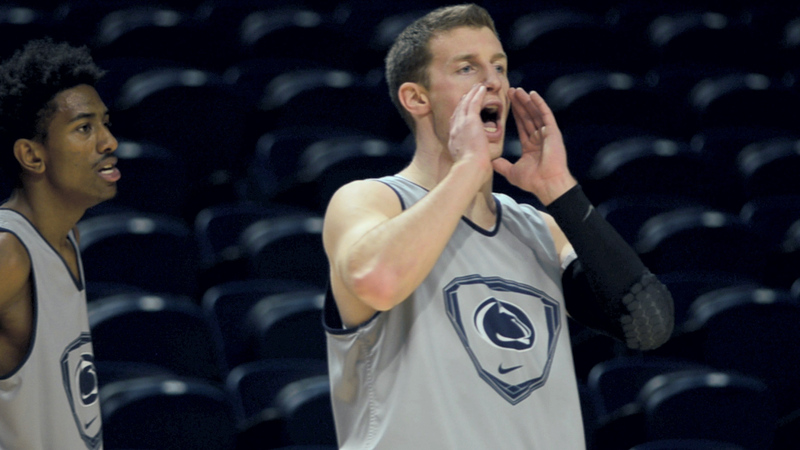 Instead, one could call him the veteran because he is in his fifth year with the Penn State men’s basketball team. 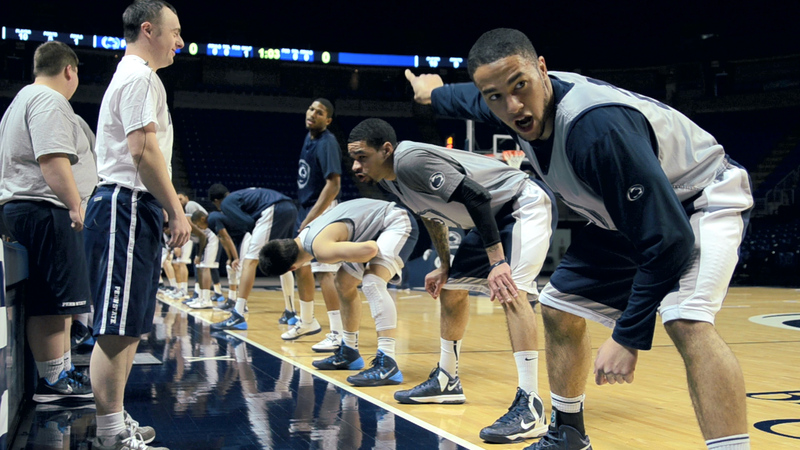 Patrick Northup-Moore, 27, has been the manager of the Penn State men’s basketball team since 2008. Some of Moore’s duties include rebounding balls during practices, organizing mail in the team office and restocking drinks in facility refrigerators. Moore also plays the sport and competes in basketball games during the summer. He participated in the 2013 Special Olympics Pennsylvania Summer Games, a nine-sport event held annually in State College for over 2,000 athletes from across the state. Moore, of State College, has Down syndrome but does not let the disability get in the way of his love for basketball and Penn State. Associate Head Coach Brian Daly met Moore three seasons ago when he joined Head Coach Patrick Chambers and Associate Head Coach Keith Urgo to lead Penn State basketball. “You could tell right away that he’s got a heart as big as the university,” Daly said of Moore. On game nights Moore arrives in his suit and tie one hour before tip-off to help with pre-game practice. Intentionally or not, he also brings a great spirit and motivation to the team. Since junior guard Kevin Montminy (14) joined the team as a freshman in 2011, Moore has been welcoming him with joy from the locker room to the basketball court. “He always comes to practice with so much energy and he’s always just so happy,” Montminy said. Senior guard Zach Cooper (24) believes Moore brings inspiration to the team, a task not included in his job description. Although Moore’s height nears the chests of most basketball players, the Penn State team and staff say they are the ones who look up to Moore. Daly is just one of those who describe Moore as a role model for the team. Members of the men's basketball team share how Patrick Northup-Moore has impacted their experiences as Penn State athletes. Jessica is a double-major in Visual Communications and Photography. She is also pursuing minors in international arts and international studies. Her career goal is to produce multimedia content for a travel or health organization.